Summer is in full spring now. That means lots of trips to the beach, water parks, lunch dates at the park and swimming lessons. I am constantly struggling with finding a big enough bag to fit all out stuff when we go places like the pool or park to play. I usually end up taking multiple bags including my purse. When I arrive places with my two kiddos it looks like we are going on vacation for a week. I came up with a perfect solution to my problem. 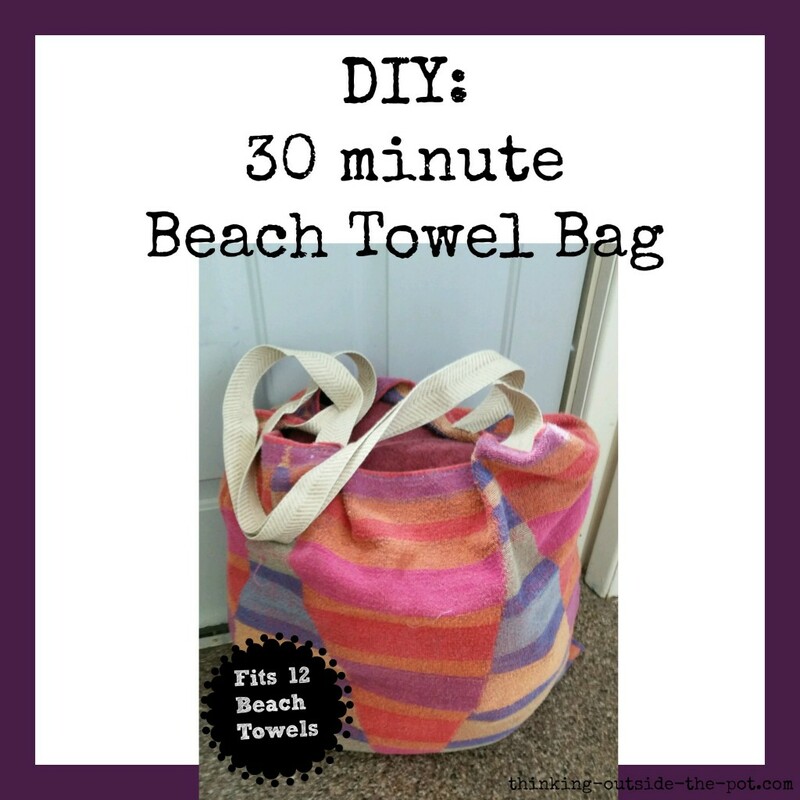 I could make a XL bag with a beach towel. Even better the only thing I would have to purchase was the straps. I have so many beach towels on hand. I thought what the heck I will re-purpose one into a bag. I found my straps at Hobby Lobby. They ended up only being a little over $2 with a coupon. So wahoo for a cheap sewing project. I hope this bag makes many pool side trips with my family as well as yours. Now go soak up that sun! 1st step: Fold your towel hamburger style inside out. 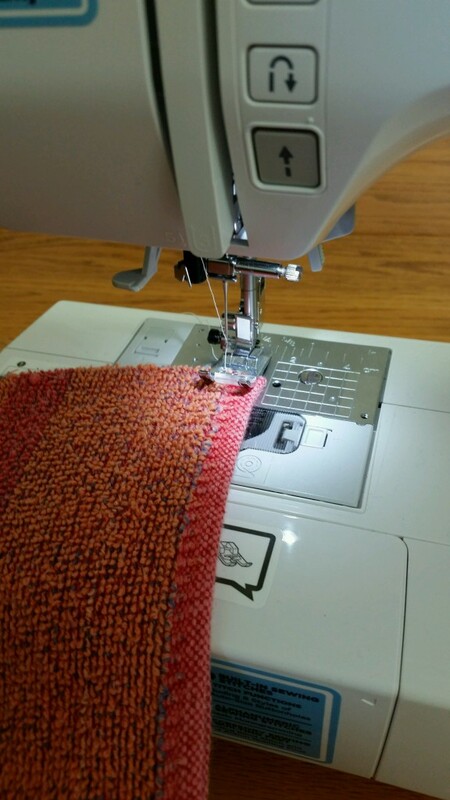 2nd step: Sew along the bottom and open side. 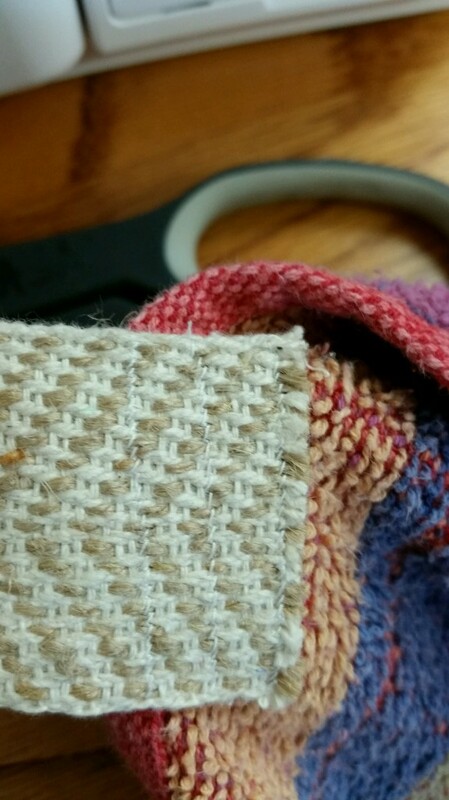 I did a zig zag stitch. I feel like it holds better. 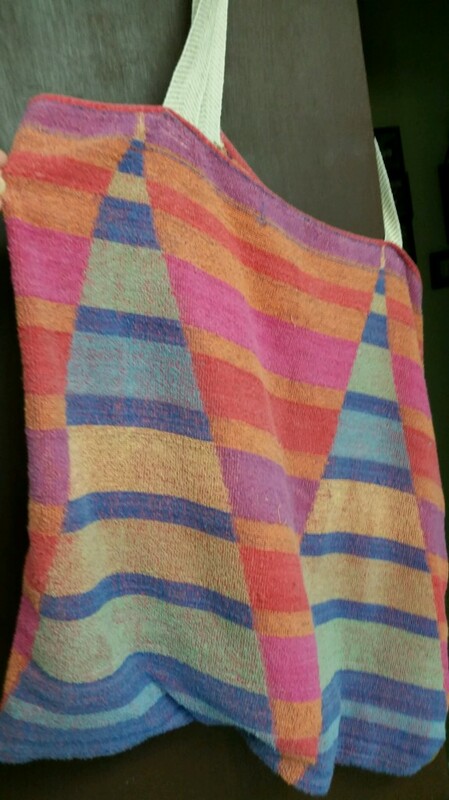 3rd step: Turn your towel right side out. 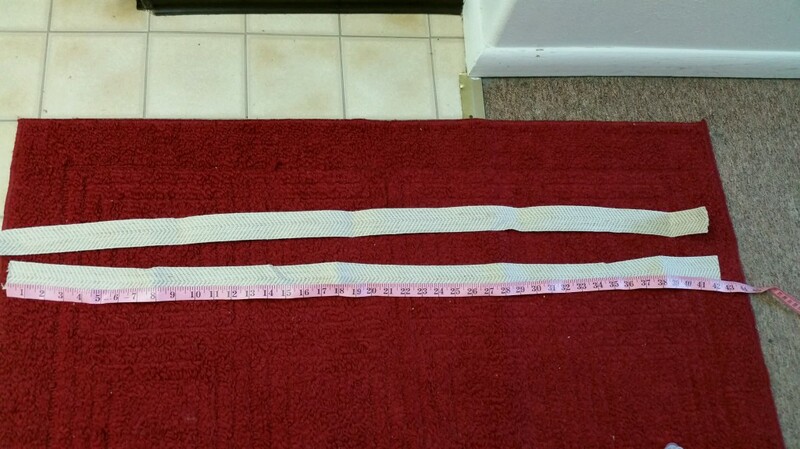 Cut your 84 inch cotton webbing strap in half so 42 inches. If you want shorter your can do so. I wanted mine to fit across my body. 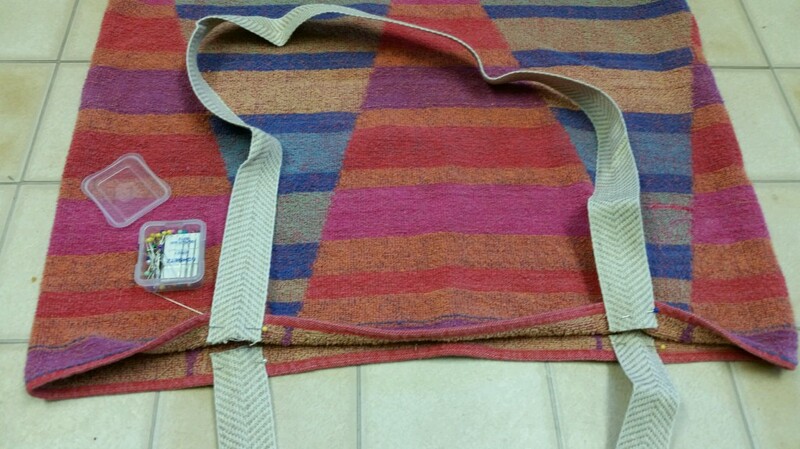 4th step: Pin your straps at 6 inches towards the middle of the bag. Pin them about 2 inches into the bag. If you want the straps shorter measure to do so. 5th step: Sew the straps on. 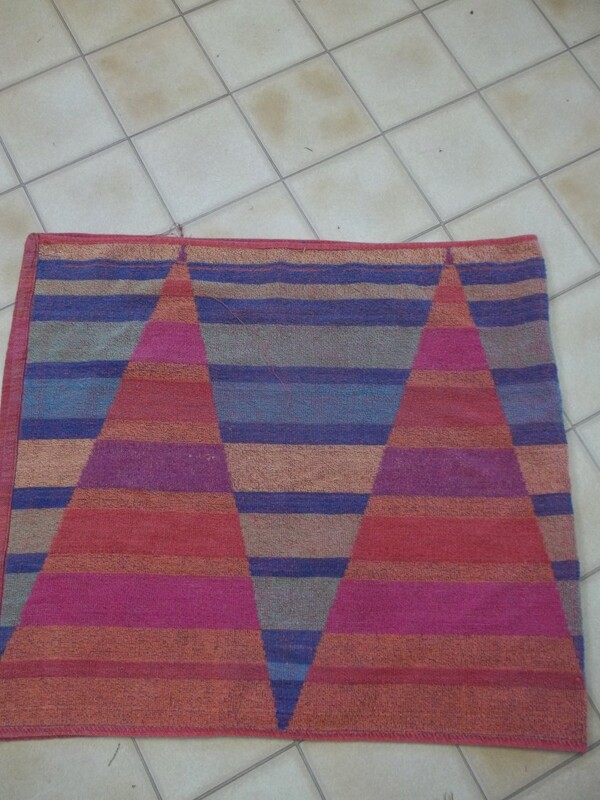 I sewed 3 zig zag stitches. Now you have yourself a super cute, large beach bag to enjoy all summer long.